DIY Solar Network - join us! 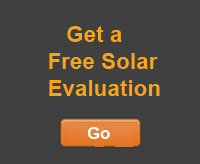 The DIY Solar Network is all about sharing ideas and projects relating to "Do It Yourself" solar. Solar projects are fun, relatively simple and very rewarding because the end result produces the benefits of free energy for years. Started by Katich in Uncategorized Nov 24, 2009. Solar Pool Heaters - what's the simplest/best way to heat your pool? Started by Douglas Arrison in Uncategorized Apr 24, 2009.